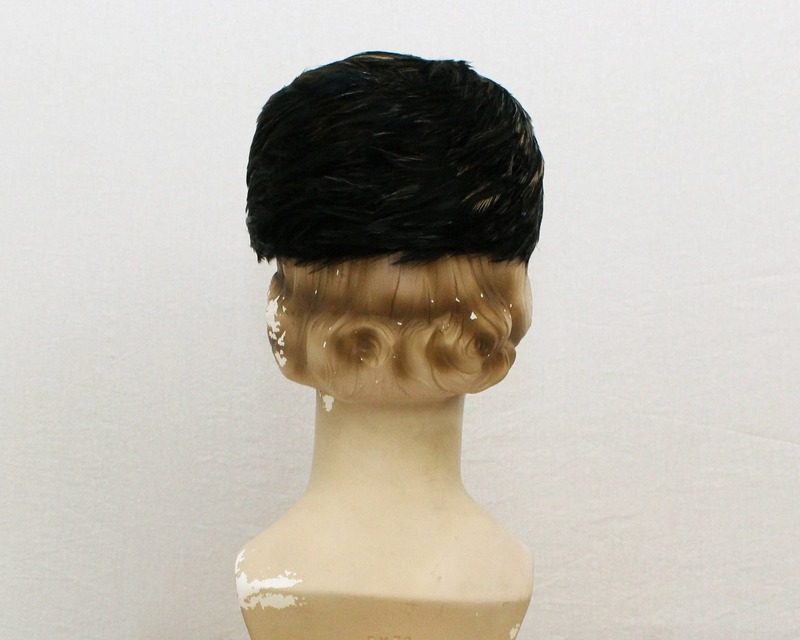 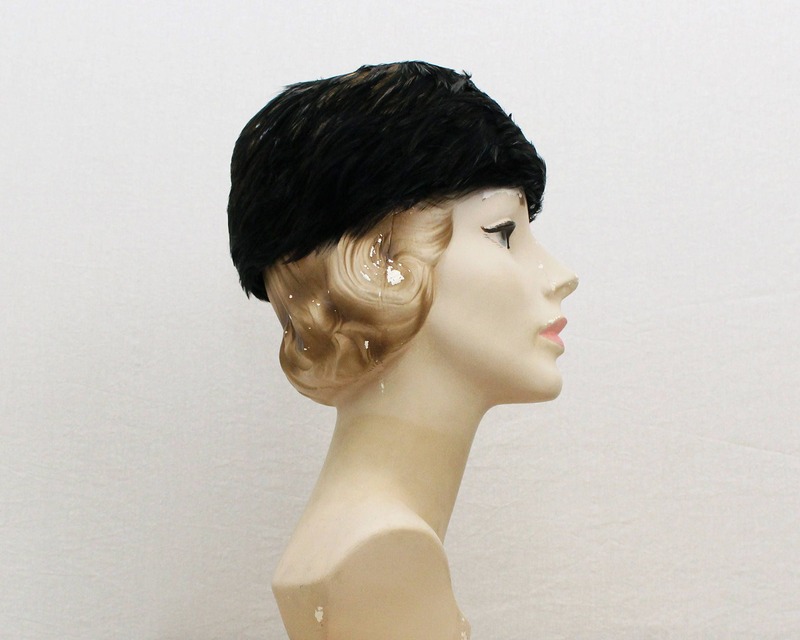 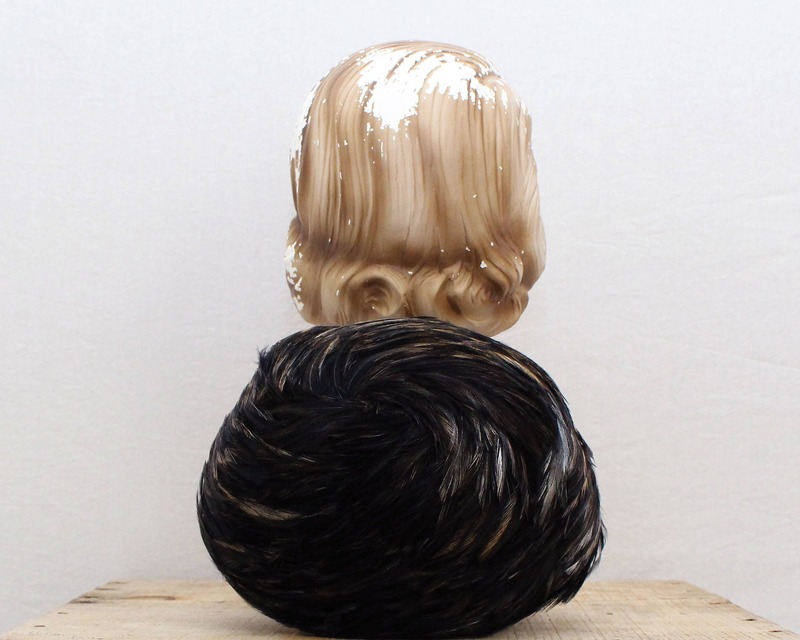 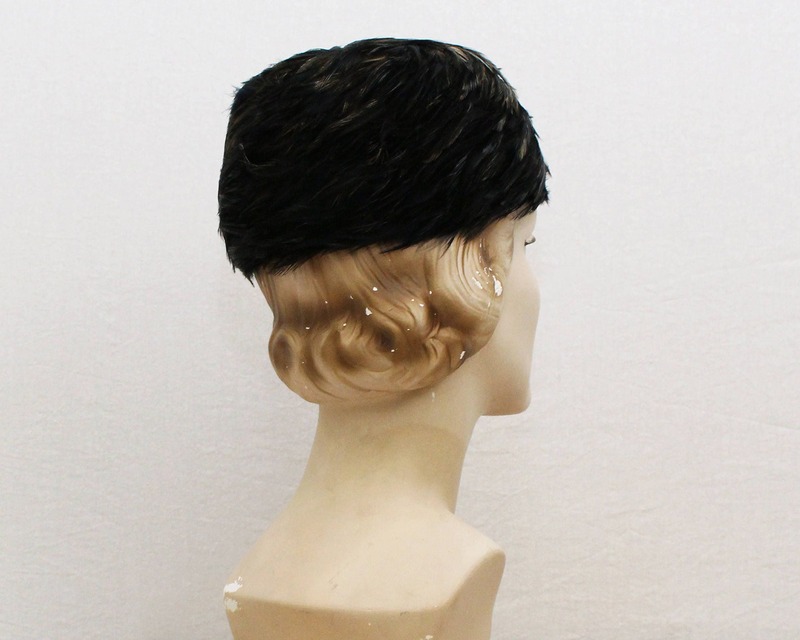 A chic black and gold vintage feather hat from the 1950s. 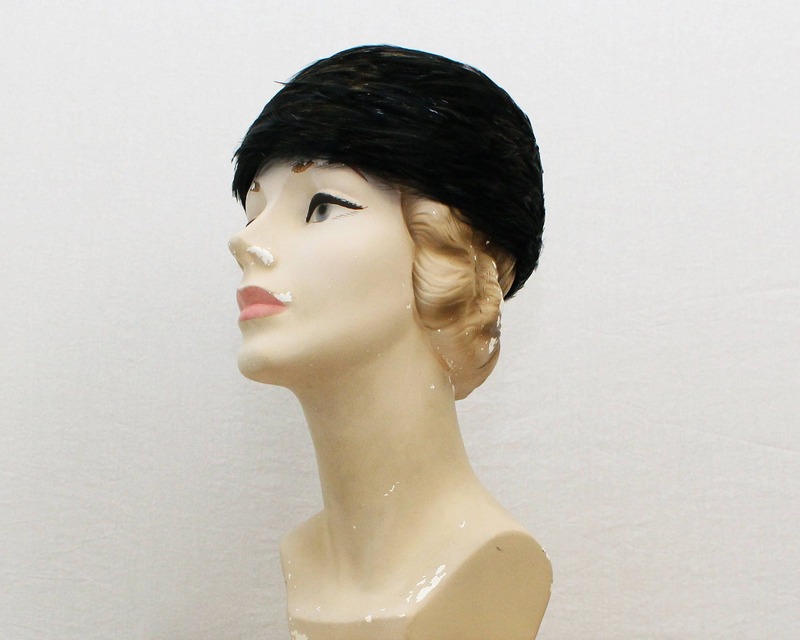 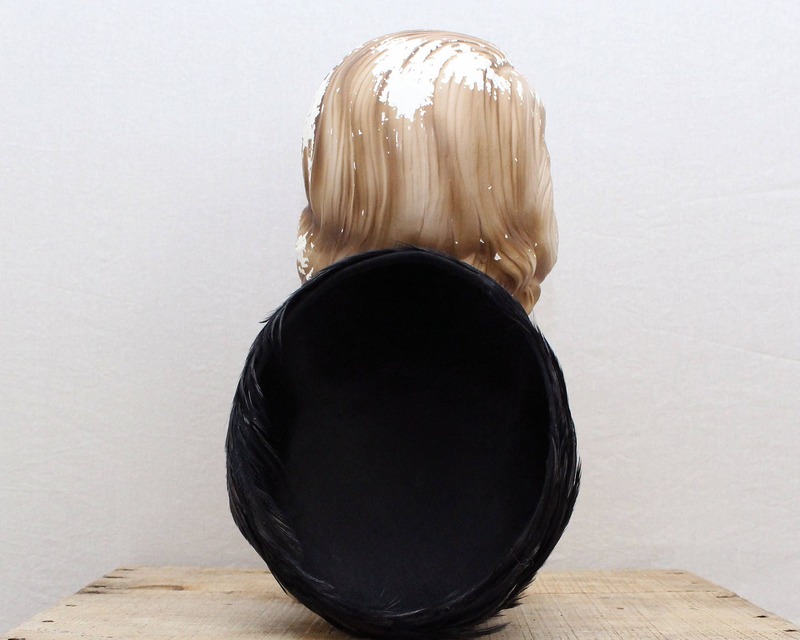 Brimless helmet style with the feather attached to a tightly woven base. 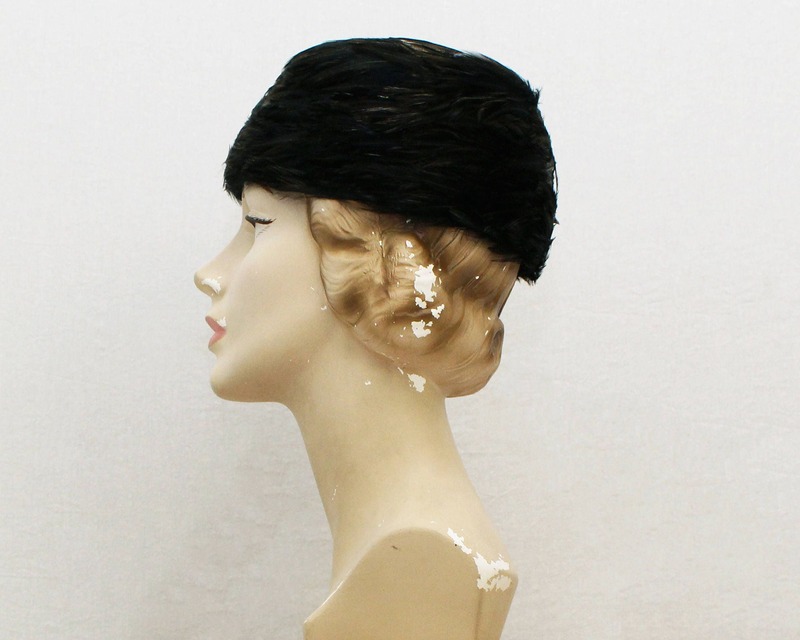 A few feathers may not be as flat to the hat as they used to be, but otherwise flawless.